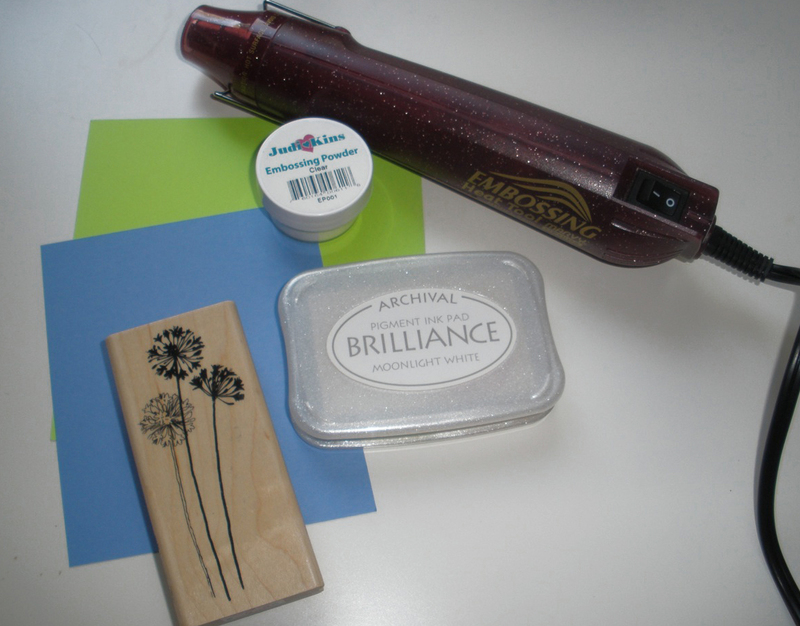 I love using rubber stamps in my art and craft projects. I especially enjoy designing my own and sending them to rubberstamps.net to be turned into professional-quality stamps. 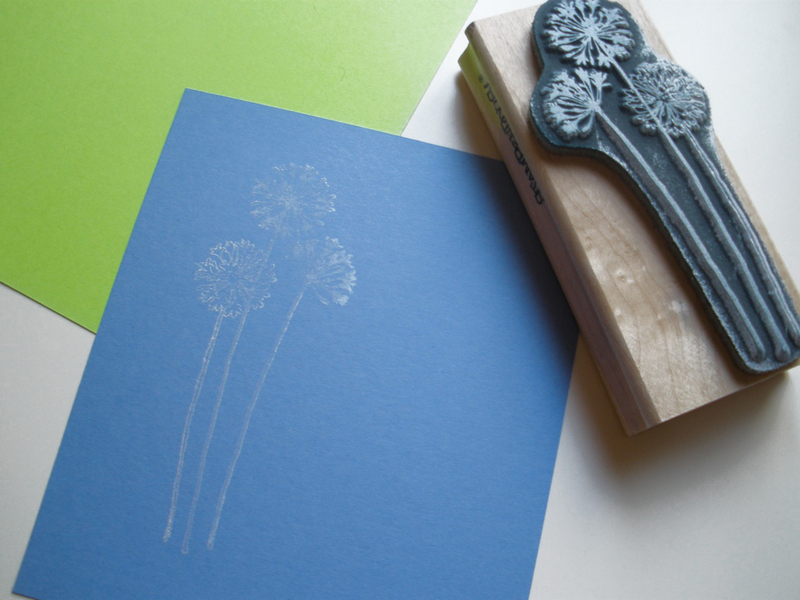 However, for this project I found a sweet little dandelion stamp in a local craft store. For a little extra pizzazz, I invested in an embossing tool. 1. 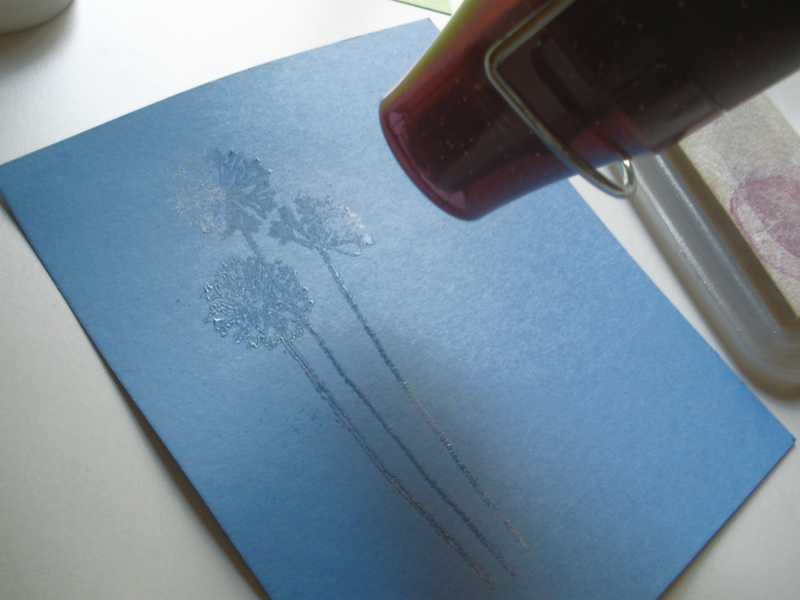 Using your inkpad, imprint your stamp onto paper. 2. 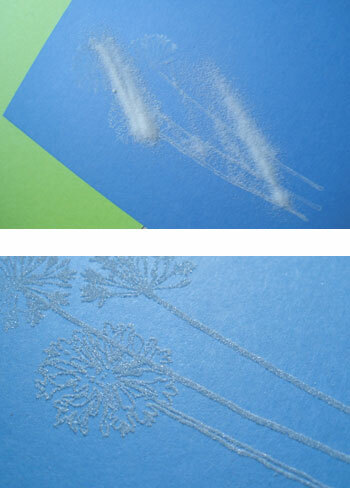 Sprinkle embossing powder on top of the stamped image. Tap the paper to shake off excess powder. 3. Plug in your embossing tool and turn it on. It heats up quickly. Hold it about 2 inches away from the surface of the paper. With quick circular movements, cover the image area with hot air. This only takes a couple of seconds. You will know it is done when the powder melts together. The shorter the heat time, the better. If you leave it on too long, the paper will start to warp with the heat. This is such a nice effect to add to any card or craft. Happy stamping! 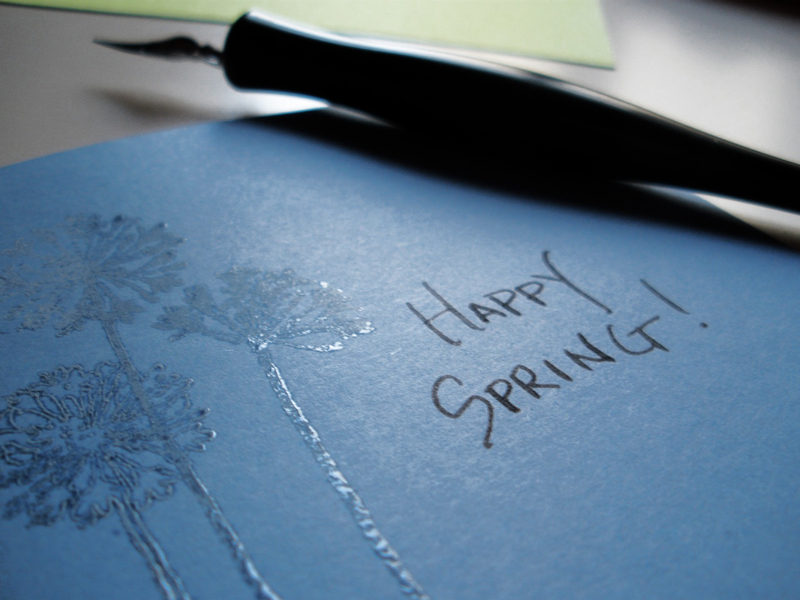 Budget note: if you don’t want to buy an embossing tool, you can also use a toaster with the powder. Be careful not to scorch your fingers – it works best with a bookmark or something with a long edge to grip.